The Grand Fourwings Convention Hotel Bangkok proudly offers experience the best tasting in every bite “Pan Seared Crispy Skin Sea Bass” at Grotto Restaurant Champagne and Wine Bar, from now untill 31 December 2016. Discover Grotto Restaurant Champagne and Wine Bar’s new menu “Pan Seared Crispy Skin Sea Bass”. 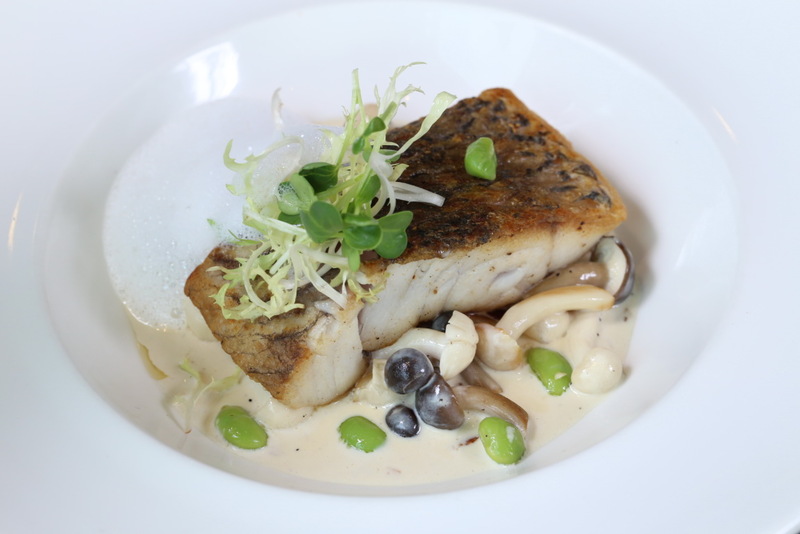 Indulge the delicious dish with Pan Seared Crispy Skin Sea Bass with Wild Mushroom Bacon Ragout and Truffle Oil. You will enjoy the best taste at price THB 550++ per dish. Serve every day 16.00 - 01.00 hrs. วันที่ 2 กันยายน 2559 เวลา 12:12 น.